On social media, many people are not happy with the campaign, pointing out that McDonald’s has a controversial history with worker wages, paid family leave, and sexual harassment allegations. The stunt is a classic example of social-justice marketing campaigns gone wrong. 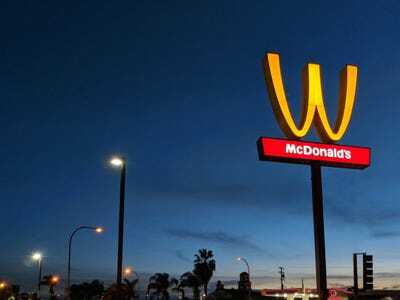 To celebrate International Women’s Day on Thursday, a McDonald’s in Lynwood, California turned its golden-arches sign upside down. The company’s social-media accounts also feature the flipped logo, and employees are handing out Women’s Day t-shirts and hats at 100 locations worldwide. As Business Insider’s Kate Taylor reported, the move is part of a larger corporate push to acknowledge how “women play invaluable roles at all levels” of the company. But many people are not responding as positively as the fast-food giant likely would have hoped. They believe the campaign is meaningless as McDonald’s struggles to improve women’s rights within the company. According to a 2015 report from the US Department of Labour, “combined food preparation and serving workers,” which includes fast-food employees, is the lowest-paid occupation for women in the US. Another recent study by the UC Berkeley Institute for Research on Labour and Employment found that over 50% of full-time fast-food workers rely on some form of government assistance because of “poverty-level” wages. McDonald’s has filed lawsuits against cities trying to increase minimum wages at the local level. And in 2016, the company’s CEO, Steve Easterbrook, received a compensation of $US15.4 million, the AP reported. The average McDonald’s cashier made $US17,000 that year, according to Eater. In a statement to Business Insider, McDonald’s notes that it has recently improved its employee benefits, like offering tuition assistance, parental leave for corporate employees, and English-language classes. The flipped logo is one in a long list of recent social-justice marketing campaigns gone wrong. 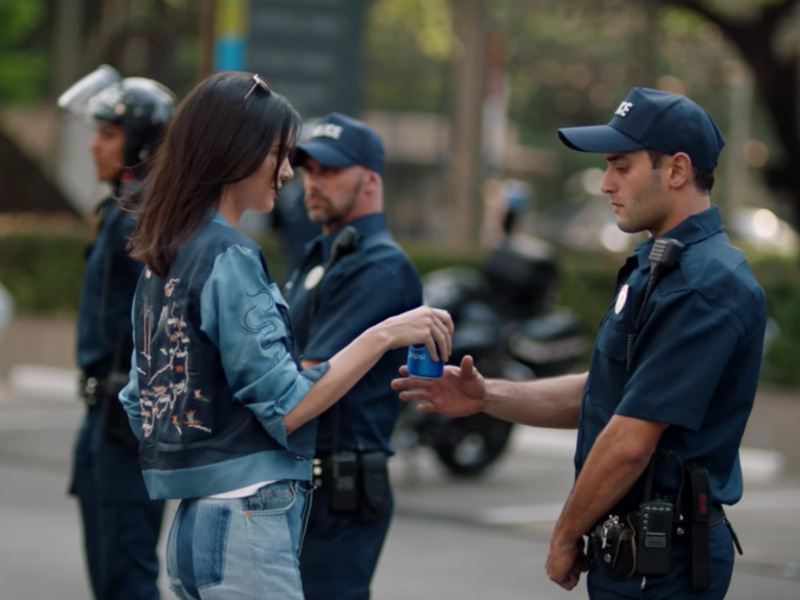 Less than a year ago, Pepsi debuted a cringeworthy ad in which model Kendall Jenner ditches a photo shoot to join a cute boy at a protest and give a police officer a soda. When it came out, the ad immediately received backlash because of perceptions that it trivialized the Black Lives Matter movement and co-opted political protests as a trendy activity. The company pulled the commercial a few days later. PepsiCoA screenshot from a Pepsi ad that featured Kendall Jenner. More recently, BrewDog launched a “beer for girls” called Pink IPA, meant to satirize the male-dominated beer industry. But many women on social media said BrewDog’s beer was part of the problem. In recent years, members of the LGBT community have also criticised brands for “Love is Love” marketing campaigns that attempt to capitalise on consumers’ interest in gay rights. In 2017, Skittles came under fire when it turned its candy white to allow “Pride’s rainbow to take center stage.” The move was widely criticised because of perceptions that it was shallow and that the company failed to reflect racial diversity within the queer community. Some companies have supported social-justice movements in more successful ways. A Super Bowl ad from building material supply company 84 Lumber, which depicted a mother and daughter’s journey across the US-Mexico border, was mostly received positively by audiences. In 2015, Google also debuted a well-received short video that showed the real-life journey of a transgender man – without aggressively tying the story to the product. Consumers are smart and national brands often miss the mark. Empty campaigns usually don’t work. Instead, people may respond more positively to brands that raise awareness for social justice movements without advertisements attached – and companies that fight for these issues on the ground level.